Hey guys! Are you feeling this winter-y vibe? This familiar sensation that comes with colder days, closeness of the Holidays and this strong desire to cuddle around the fire with a woolen sweater? Well I most certainly do. And although I know the few weeks left before the Holidays will be insanely busy, I just feel this urge to knit myself a cozy, warm sweater. I decided to try it, although I will give priority to the Christmas presents and getting the house ready for the holidays. 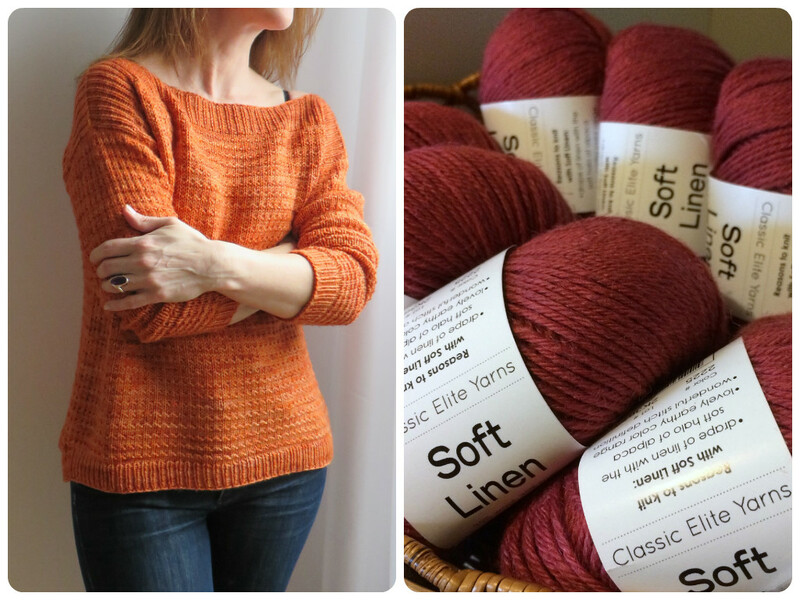 The sweater I’ll be making is Laurie by Josée Paquin, and I’m using Classic Elite Yarns’s Soft Linen in the color Smokey Rose. I am absolutely, positively thrilled about this project, and although I know chances are slim that I’ll be able to complete it before the end of the month, I’m hoping I can at least finish it before the Holidays. Please cross your fingers with me! In the meantime, I also just finished the Casu Cowl, using some Berroco Element yarn I had in stash. It looks fantastic, and I’m absolutely delighted by the pattern/yarn combination. This pattern written by Galia Lael is elegantly simple, exquisite in the small details. I especially like the raised edge between the moss stitch and lace sections and the elegant slip stitch borders. And the yarn just brings out the texture beautifully, so I couldn’t be more satisfied with this project. This entry was posted in Knitting and tagged adventure, cowl, craft, crafts, fiber, knit, knitting, lace, linen, NaKniSweMo, NaKniSweMo2015, needle crafts, passion, scarf, sweater, texture, wool, yarn. Being on the down hill side of a cardigan I didn’t want to jump in this year. Good luck in your quest, but I can’t keep my fingers crossed I have to knit. I would cross my eyes, but then I would likely trip and fall. I could cross my heart and hope to die, but I want to live!! I can’t cross my toes, they would just cramp. I will just have to cross my legs, that way I can still knit! I have had the Casu Cowl queued forever. Must start one!